Albie's Note: Back in the late '60s, Dell Comics-- once the most popular comics house in all of American Publishing History-- was reduced (through a chain of now-famous circumstances that you can read all about on various web-sites) to mainly putting out forgettable adaptations of various then-current TV shows. 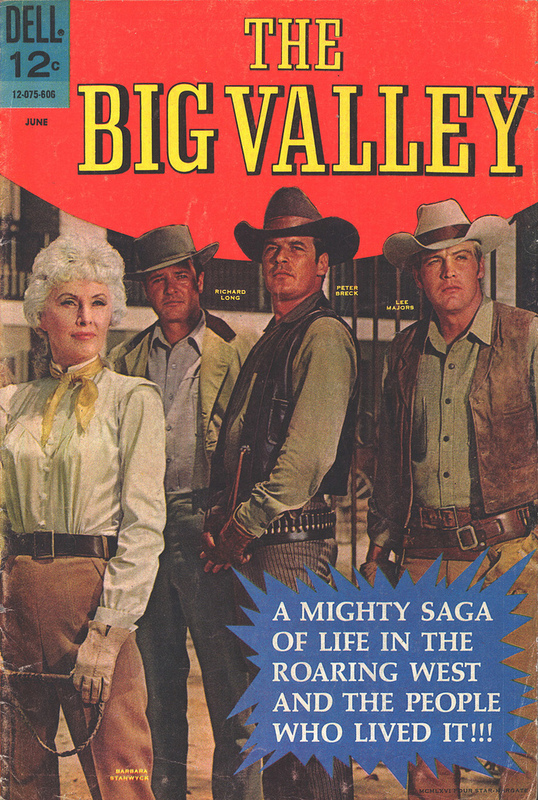 THE BIG VALLEY, my all-time fave TV western, was given the Dell Treatment in a quick, six-issue run that began-- as the show itself did-- in 1965. 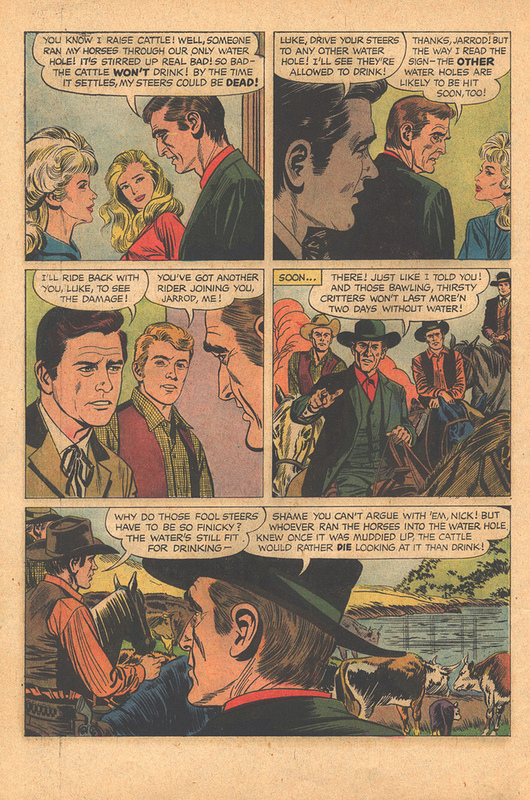 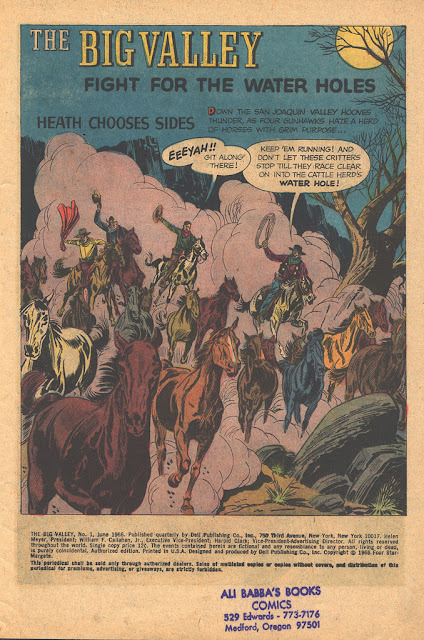 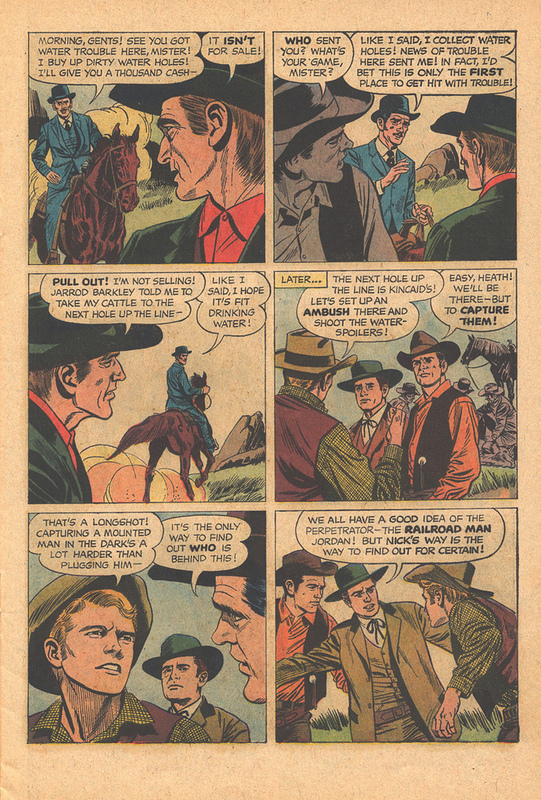 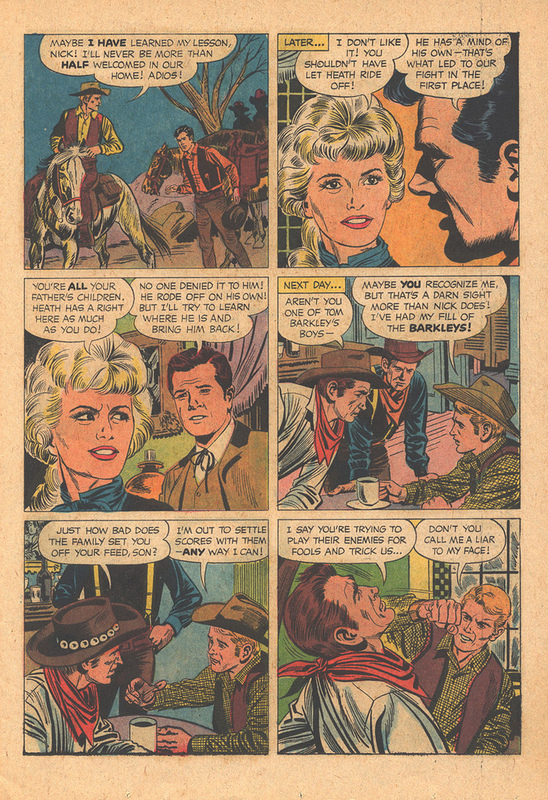 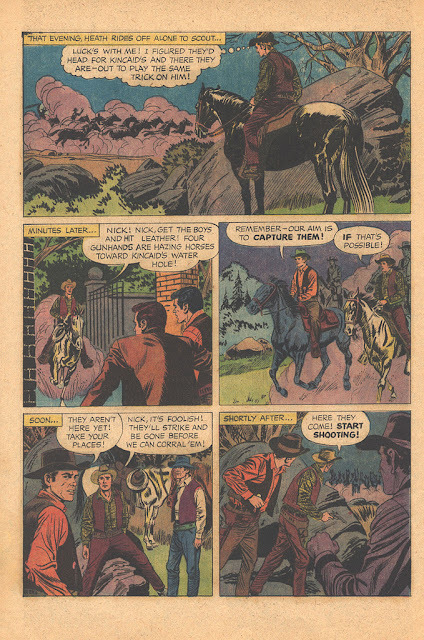 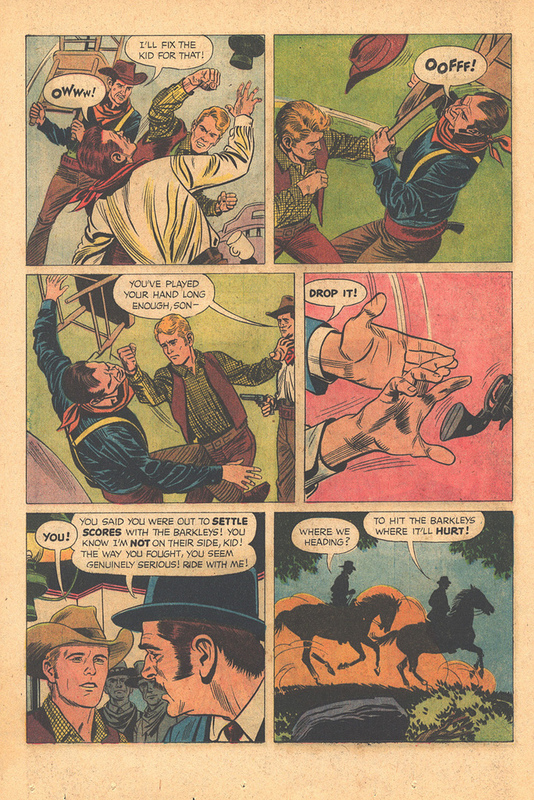 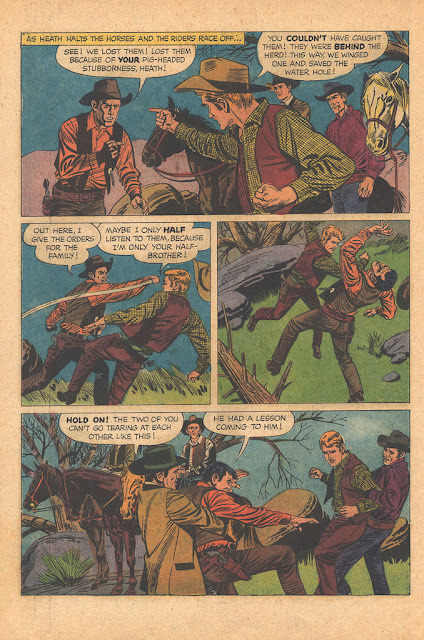 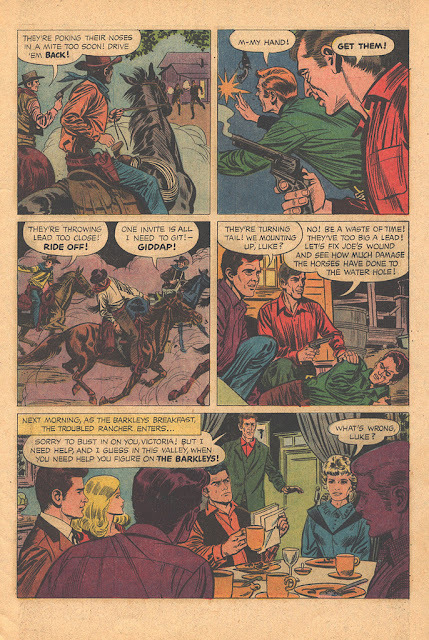 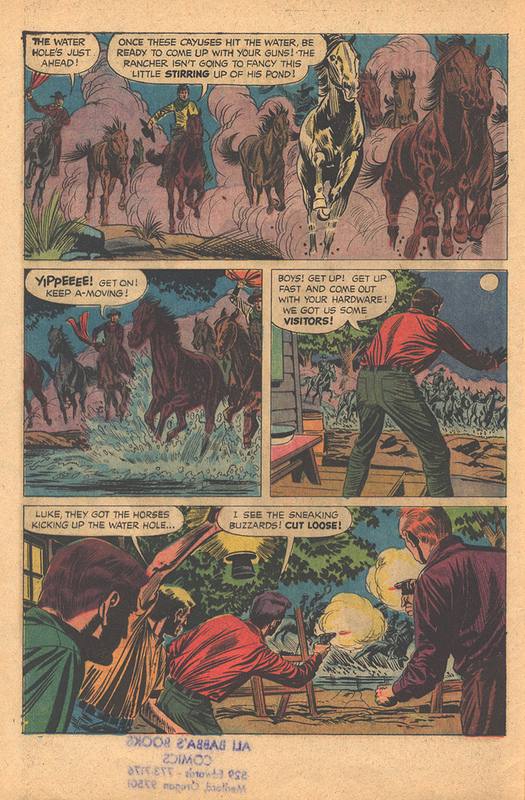 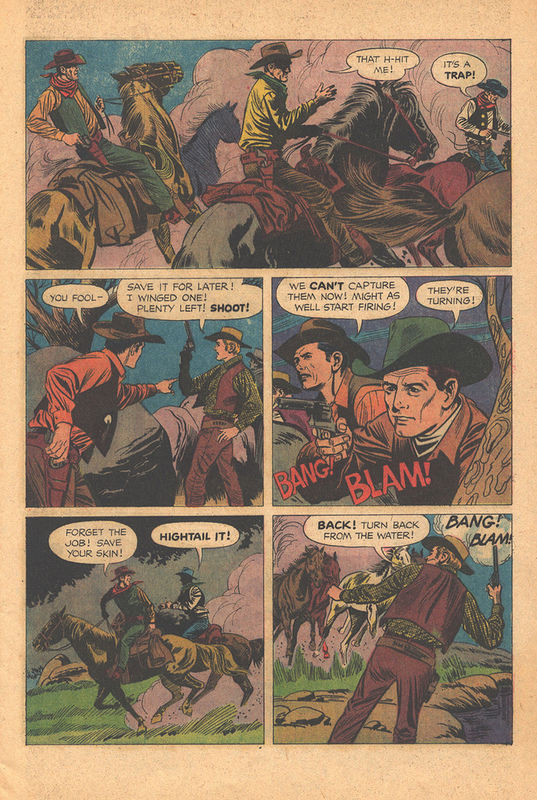 Jon K., of the great blog COMICS READING LIBRARY, is to be given full credit for these scans from the first issue, which I actually reckoned to be a pretty darn decent four-color adaptation of this greatest of all the TV "Empire Westerns." HYMN TIME #9: "Come Ye Sinners, Poor And Needy"